During your day-to-day role, you may come across potential health and safety risks. This could be, for example, a wet floor, a blocked fire exit or an appliance with a frayed flex and exposed wiring. It is important that you understand how and when to report any risks that you identify. Health and safety risks should always be reported as soon as possible to the relevant person. The person you report it to will usually be your manager, however some organisations may have a dedicated health and safety officer. If in doubt, speak to your manager or look at your employer’s policies and procedures for guidance. For minor hazards, you may be able to resolve them yourself (as long as it is safe for you to do so). For example, if there is a box in the way of the fire exit and you are able to lift it (and you have completed manual handling training) you could simply move it to a safe place. 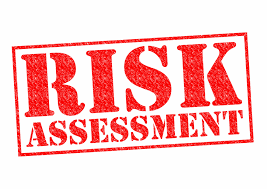 Even if you eliminate the risk yourself, you should still report the hazard so that action can be taken to prevent it happening again. Reporting a health and safety risk can often be done verbally, however you may also have to fill in a form. Refer to your organisation’s own procedure for support. If you feel your concerns about health and safety are not being taken seriously, you should always try to report them in writing.